The University provides Novi, a web-based survey application to facilitate the gathering and analysis of data from different audiences, both on and off campus. Novi is hosted on University resources which is far more secure and reliable than other free utilities available on the internet and supports the needs of the University Research Integrity Committee. If you are a staff member and require access to Novi survey but don’t currently have access you should email the IS Service Desk. Once you have access, go to https://survey.napier.ac.uk/Login.aspx and log in using your Edinburgh Napier login ID and password. All student surveys must be given ethical approval before students are given access to the software. Further guidance on the procedures for each School can be found on the Research Integrity intranet page. Information for students, including guidance on ethical considerations can be found on myNapier. The Novi Survey Support course in Moodle provides a range of resources to support students and staff in the use of Novi survey for gathering and analysing data from different audiences, both on and off campus. The course is available for anyone at the University to self-enrol, and a course forum is actively monitored for questions and comments. 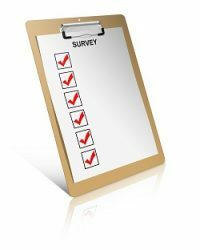 Where can I find help using Novi Survey? I need to create a survey but the “New survey” icon is not visible when I log in. What so I do? Is Novi compatible with all browsers? I’ve deleted a question on my survey. Can I retrieve the answers for it?